At the turn of the twentieth century, Japan embarked on an ambitious imperialist venture, leading to an attempt to unite all of Asia as one massive alliance led by Japan. When the First World War broke out in Europe in August 1914, Japan saw this as an opportunity to begin a self-assertive mission of becoming the dominant power in East Asia. Japan immediately joined the Allies against Germany, planning to take over all German holdings in China. Since the only other independent nation in East Asia at the time was China, Japan felt that bringing these two nations together first would be the best way to meet their unifying goal. Called the Twenty-one Demands, Japan made a series of requests to China with the hope of creating a greater Japan as well as more unity between the two countries. What emerged from the ensuing relations however, was animosity and regret. After the annexation of Korea in 1910, Japan’s foreign policy turned its attention to bringing under its control all of South Manchuria and China (koreascope). This was mostly an economic venture, but political control was important as well. 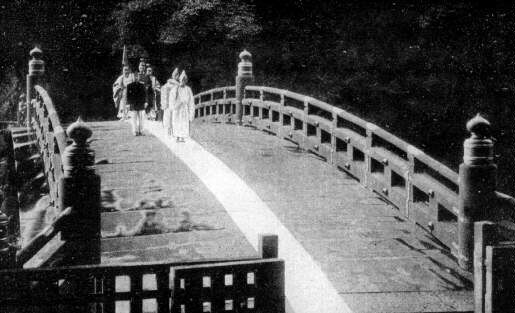 By the outbreak of World War I, Japan had largely succeeded in influencing most of Manchuria, and they had established the South Manchurian Railway, yet China was still unwilling to open up investment opportunities that European countries were able to capitalize on, mainly due to a lack of Japanese capital (Kawamura, 21). All of this considered, World War I was just the opportunity Japan needed to gain ground in Asia. 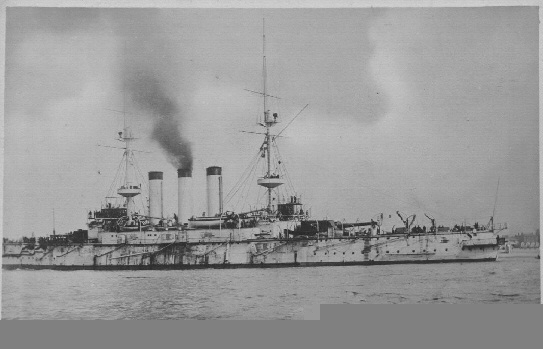 In early August of 1914, the British government requested that Japan destroy any armed German ships in Chinese waters. Foreign Minister Takaaki Kato jumped at the chance to be militarily involved near China. He felt this to be in the best interest of Japan for two reasons: it would fill the obligation Japan had to the Europeans in order to be able to join the peace conference at the end of the war, and it would eliminate all German presence in East Asia, giving Japan one less country to deal with (Kawamura, 23). Qingdao is a port city on the Shandong peninsula in China, and was at the time considered the best harbor north of the Yangzi River. Occupied under a lease agreement with China by the Germans, the Japanese (specifically Minister Kato) wanted to gain control of the territory, hopefully with the support of China and the consent of the western powers (Goldstein, 60). Kato was not completely backed by his government, though. He realized that he needed both the support of the military leaders and the genro (very influential senior statesmen who had held the highest government positions since the Meiji Restoration) (Goldstein, 60). One main concern the genro had with the present situation facing Japan was the international ramifications, referring specifically to a new trend in racism against the Japanese. Anti-Japanese movements in the western United States and a similar notion held in Britain worried many in Japan about how much support they would receive from the international community. Minister Kato was unmoved, positive they were too busy fighting a European war to concern themselves with the East. One genro named Yamagata argued that “if the colored races of the East hope to compete with the…white races…China and Japan, which are culturally and racially alike, must become friendly and promote each other’s interests (Kawamura, 28)”. Diplomatic exchanges between London and Tokyo show that Japan intended to pursue its own objectives rather than the Allied ones. Because of this, Britain rescinded her request for Japanese military support, fearing that this would lead to escalated demands by the Japanese. So, in August of 1914, Britain declined the help of the Japanese (Dickenson, 14). Tokyo immediately responded by explaining that since it was public knowledge that Japan was about to declare war on Germany, to reverse the decision would bring shame to the government in the eyes of the general population. Britain caved, and allowed Kato to continue to militarily pursue the Germans in Asia. Unknown to westerners at the time, Britain’s concern over Japan would later prove to be warranted. Japan was also very concerned with American interests and pursuits in Asia, especially in China. Minister Kato sent a message on August 15 to Washington exclaiming that Japan “would not seek any territorial aggrandizement or selfish advantage in China and would carefully respect all neutral interests” (Kawamura, 29). Since China was neutral at this time, the United States misinterpreted this statement to include China, hoping that any land seized in China by Japan would be returned at the end of the war. Unfortunately for China, the taking of German-controlled Jiaozhou is what led to the Twenty-one Demands. When Japan finally declared war on the Germans in late August of 1914, they quickly occupied all of Jiaozhou against the wishes of the Chinese. They then forced out all Chinese military in and around the region, captured the Shandong Railway, and forced the German surrender in Qingdao by early November (boondocksnet). What Japan now had on its hands was a valuable piece of Chinese real estate, a very important railway, a lack of European presence in the region, and most importantly a weak and frustrated Chinese government unwilling to engage in hostilities. On top of all that, the Japanese Navy was able to capture the previously German-held Marshall and Caroline Island groups, which were strategically located in the Pacific halfway to Hawaii. When the Australian government proclaimed its intent to take these islands and hold them until the end of the war, Tokyo immediately promised Britain that it would give them back when a peace treaty was reached, assuming they would be allowed to keep those islands north of the equator. What Japan had done up to this point was play a game of appeasement, not unlike Hitler’s tactics in the mid-1930’s with the Sudetanland and the Alsace. This not only bolstered Japan’s arrogance when it came to dealing with the western powers, it also suggested that they were right when Yamagata suggested that the west cares nothing for East Asia except for its money-making potential. Idealism had been fueled, and Japan now set its course for unifying Asia. After the onset of military occupation came the Japanese formation of their proposal in the negotiation with China as to what would become of Japan’s newly acquired territory. Chozo Koike, chief of the Political Bureau, came up with what would become known as the Twenty-one Demands, a document consisting of five groups of concessions laid out by Japan (Kawamura, 24). The first two groups were the base of the proposal. Group I laid out what should become of Shandong, specifically, that no restitution be paid to Germany, that Japan be the only country able to lease land in Shandong, and that Japan be allowed to build a railroad there. Group II established Japan’s prominence in South Manchuria and Eastern Inner Mongolia. It required a longer lease for Japan on Port Arthur and control over the railways, as well as mining rights and purchasing rights. Group III demanded that a Sino-Prussian company be turned over to Japan, and Group IV forced China to disallow any port to be leased to another power. Finally, Group V was a seven-point whopper requesting things such as Japanese military advisers, police forces, schools, churches, more railways and preaching rights in China (Kawamura, 25). China found this last group to be the most egregious of the bunch and refused to even consider it in the bargaining. Soon after receiving the proposal from Japan, China quickly denied any of the demands, backed by the encouraging words of the United States, who had suggested to China that they remain stubborn. China’s Yuang government did not feel it necessary to give in to requests made by Japan for seemingly no reason. Later Japan did offer the restoration of Jiaozhou only when a stalemate ensued. This stalemate went on for months, until finally China offered a counterproposal in March of 1915, which ignored all of Group V, all of Group I, and most of the other demands as well. It even demanded that reparations be paid to China for damage caused by the Japanese military while they had occupied Jiaozhou (Kawamura, 26). This put Minister Kato into a fury, and he quickly got the foreign ministry leaders together to come up with an ultimatum, threatening with violence should China still refuse to comply. China, in the mean time, was hoping for support from the United States, which never came. The ultimatum did leave out Group V due to a fear of Western resentment, and was a little more lax than the previous document, but it was relatively intact when the ultimatum came in early May to Beijing. It suggested that if China chose not to comply, Japan would be ‘forced’ to act in aggression against China. It scolded the Chinese government for not appreciating all the generosity China had recently received from Japan, and asked that China comply. Since China had not mobilized for war yet, the Chinese government complied to the satisfaction of Japan and the chagrin of the West. The Sino-Japanese treaty was signed on May 25, 1915, and the drawn-out negotiations of the Twenty-one Demands finally ended. Japan’s entry into the First World War was a strategic move made solely for the aggrandizement of land and other benefits from China, taking advantage of a situation that would not have otherwise presented itself. No longer would Japan appease the western powers in their quest to coincide with others in the international community. The negotiation also suggested not only Japan as the sole Asian power of the region, but also a new type of relationship between China and Japan. Japan could exploit China for its wealth and trade, while beefing up its capital and enhancing its influence within the region. China gained the guidance and protection of a superior military. But all of this did nothing but hurt Japan’s relation with the west, especially with the United States. The relationship between the two countries permanently soured after the Sino-Japanese treaty was signed in 1915, mainly due to the distrust it caused in a nation already laden with an anti-Japanese movement. At the Paris Peace conference after the war, President Wilson called upon the principles of the Open Door policy to be reinstated, and opined that he had a “general sympathy” for the Chinese. This of course was not what the Japanese wanted to hear, and when they felt that they were not adequately represented at the Treaty of Versailles, their resentment toward the U.S. grew until the two countries could not see eye to eye. In the end, what began as a small step of Japanese imperial intervention into another Asian country helped to sow the seeds of World War II for the United States and Japan. Dickenson, Frederick. War and National Reinvention. Cambridge: Harvard U Press, 1999. Goldstein, Eric. Asian Stability and the Road to Pearl Harbor. Portland: Frank Cass Printing, 1994. Kawamura, Noriko. Turbulence in the Pacific. Westport: Praeger Press, 2000.